Looking good! So cute. Are you a little pilgrim? 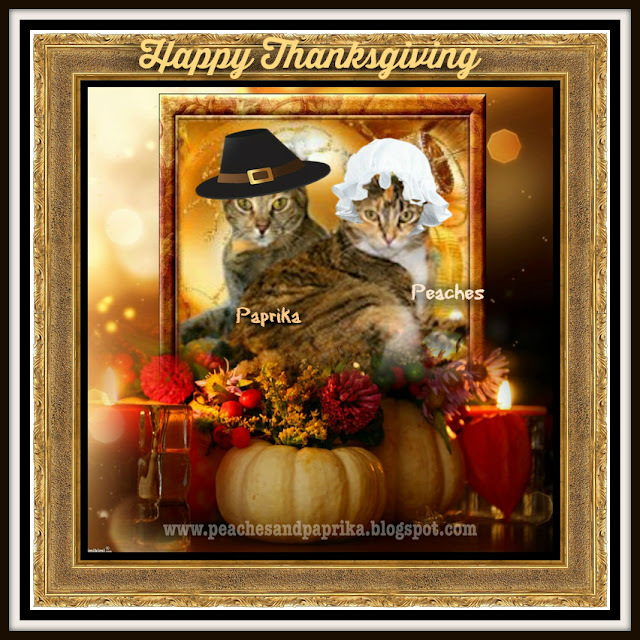 Oh my goodness, you two are too cute, Peaches and Paprika! And, yes, we just so happen to love your bonnet. Happy Thanksgiving to you both, and to mom Carol! Adorable picture, thank you for sharing with us. We love your pilgrim hats! Happy Thanksgiving Eve! Happy Thanksgiving! You both look cute.